The dedication says it all: "This book is dedicated to Dean, Mark, J., Phil, Casey, Colleen, Vickie, Mike, Patty, Janet, Penny, Terri, Doug, Paul, Jan, Tom, Scott, Kurt, Ann, Kim, Diane, Sally, Kathleen, Mari, Libby, Jon, Jim, Pat and Pete. I never forgot you." Here is a man deeply marked by his formative years. Charles Burns has been painstakingly producing weirdly beautiful black and white comics since the late 1970s. By far the biggest chunk of this time -- just shy of a decade -- was spent on the single work we now have before us: Black Hole. It was originally serialized in a series of twelve comic books, begun by Kitchen Sink Press -- who went out of business mid-way through the series -- and then completed by Fantagraphics Books. Now, the entire series has been collected in this single hardcover volume by Pantheon Books, which is -- amazingly -- priced at less than half what you would have paid for the original comic books. In a haunting and unforgettable way, Black Hole relates the experience of coming of age amid the chaos and confusion of the drug addled early 1970s. Burns brilliantly employs the graphic metaphor of physical deformities and bodily mutations to visually represent the psychological upheavals and emotional traumas that these teens undergo on their desperate passage to adulthood. Few if any works in any medium have better captured "what it's really like" growing up in America. While the details of this tale refer specifically to the first half of the 1970s, the truths it bares can be universally applied. Ultimately, growing up means being forced to confront and come to terms with the animal organism that every human being contains within, and then manage somehow to coordinate this fleshy heritage with the intellectual constructs and spiritual traditions of one's upbringing. For those lacking trustworthy and knowledgeable guides to assist them in effecting this difficult transition -- as were, evidently, the characters that populate Black Hole -- growing up can all too easily become a harrowing and, indeed, life threatening experience. Perhaps comics is the most capable medium for communicating experiences such as these. 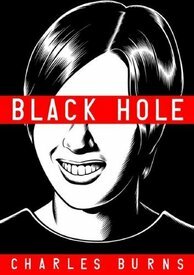 If so, readers of Black Hole will be grateful that Charles Burns discovered comics at an early age and spent countless hours over many years honing his skills. 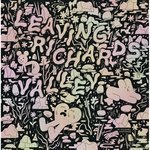 Burns is an artistic genius who, through applied, long-term, disciplined focus, has managed to channel what could have remained simply a set of nostalgiac, obsessive yearnings, into a great body of work of which this series is the fulfillment. Those interested in a more detailed decription of the work are advised to read Andrew Arnold's review at Time.com.